The playing characteristics of natural clay without the hassle! It looks like clay, slides like clay, plays like clay and the ball bounces like clay – in fact Euroclay gives all the benefits of a clay tennis court but without the maintenance. There’s no watering or rolling necessary and the court can be played on in both wet and dry conditions. 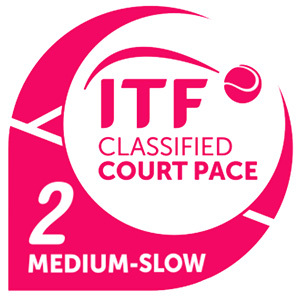 Euroclay courts are tested to an ITF approved standard, its rapid drainage allows play during wet conditions without affecting its characteristics. 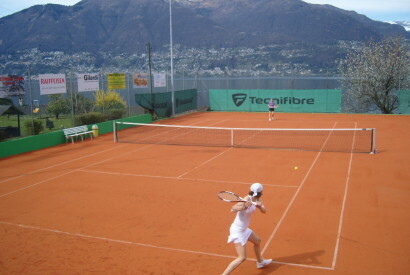 Euroclay courts offer the same playing characteristics as natural clay such as ball bounce, slide and even appearance. 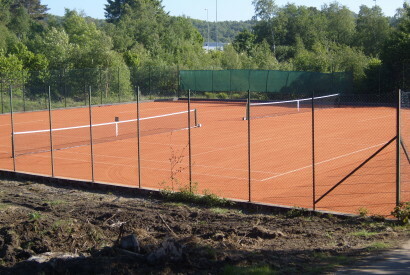 Euroclay courts are manufactured with a high spec synthetic yarn, which has been UV stabilised, the court is then overfilled with a specially treated infill which gives it its natural look and its unique playing characteristics. Euroclay is manufactured with a uniform pile height to allow consistent bounce and slide characteristics as on a natural clay surface. Euroclay is suitable for both indoor and outdoor use and requires very little maintenance. 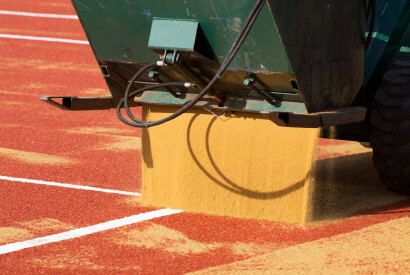 Euroclay is the market leader for artificial clay both in the UK and throughout Europe and together with our subsidiaries Euroclay Switzerland and Euroclay Portugal we are committed to providing our clients with the best possible advice and service whether they are a large club or a home-owner with a single court.